Overall great service you provided and happy with the offer you made to us. Very professional service you gave us with a smile, so overall, we are extremely satisfied and would definitely recommend UK Static Buyer to others. Thanks again for your help and support on our sale. Very happy with the service you provided from start to finish and really pleased with how easy the whole process was. Thank you for your support and I have no hesitation in recommending your company to anyone looking to sell their static caravan. Best Price For Your Static Caravan. We are looking to buy Static Caravans of any age, model and condition. This means that we will give you the best possible price for your Static Caravan. We understand that selling your Static Caravan can be a difficult process, so we are here to help. From dealing with the Caravan Park to organising transportation, we make the process simple. Instant Payment for your Static Caravan. As you are selling your Static Caravan directly to us, payment is almost instant. As soon as we have agreed the sale, cash is in your account within minutes. With offices across the UK we ensure that selling your Static Caravan is as smooth as possible. Your office will have local knowledge and can time a visit around you. 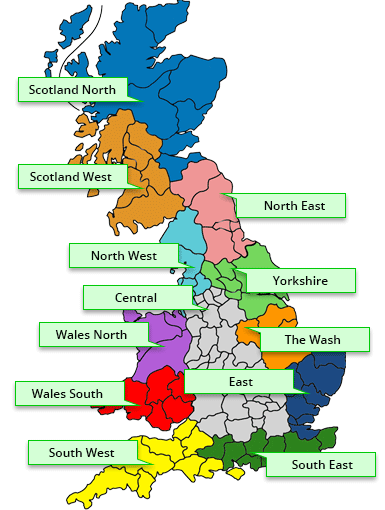 UK Static Buyer has offices across the UK, simply fill in the enquiry form, tell us where your Static Caravan is located and we will do the rest. Having a local buyer to support & guide you through the sale of your Static Caravan makes the process quicker, simpler and ensures a hassle free transaction for you. Local knowledge of the area helps with transportation and our vast experience of dealing with Caravan Parks enables us to complete the purchase quickly. If you are ready to talk to us about selling your Static Caravan click the button below.